Who actually enjoys cleaning? Even if you don’t mind cleaning, if you have kids (or a husband or even a pet), chances are your clean home doesn’t last very long. Bottom line, cleaning is not fun! 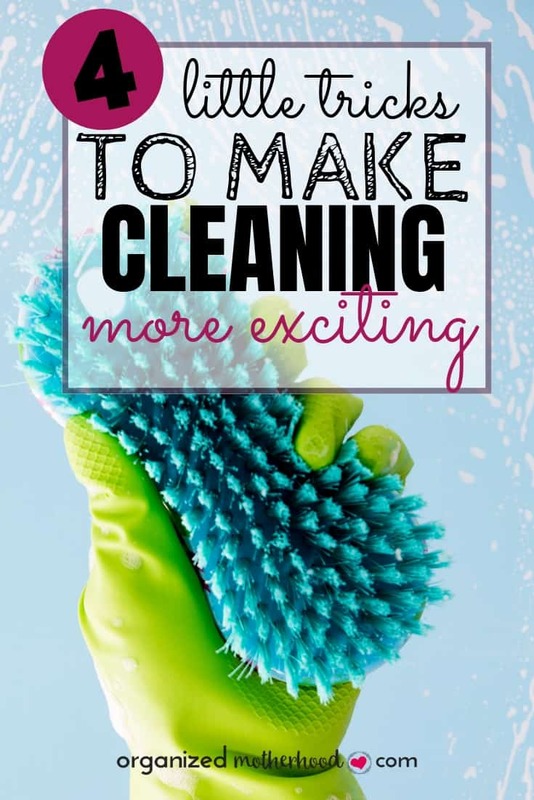 If you struggle to find the motivation to get started or even keep going with your cleaning routine, these four tricks will make cleaning seem a little easier and more enjoyable. Nothing makes cleaning more bearable than some good music. Lively music with a good, strong beat is one of the best ways to keep your energy up when you have a big job ahead. Gather your favorite tunes and make a special cleaning playlist. When in doubt, select your favorite workout songs or party music. If you’re in a hurry, you could also play a preselected party playlist from Amazon Music. If you have a prime account, you have access to so many free playlists and you can even create your own for free. If you don’t have a Prime account, you can get a free 3-month trial for Amazon Music. Cleaning, especially spring or deep cleaning, can take a long time, but you don’t want to burn out. Schedule some breaks for yourself. Even a 15-minute break once every few hours will keep your spirits up. Don’t forget to drink plenty of water and grab a snack during this time, as it will give you the energy necessary to stick to the task. The best challenge is a challenge against yourself. When you are cleaning, give yourself the challenge of beating your own speed. This is also a great game to play with kids. Set a timer and try to beat the time you spent in the last room. 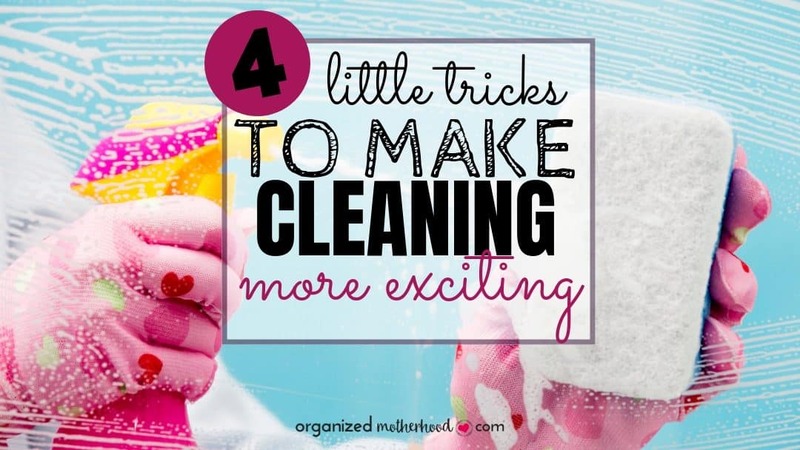 You could also set a timer for a designated amount of time, like ten minutes, and clean as quickly as possible. If you have time left over, take a coffee break or reward yourself. Just make sure to stop when the timer goes off! Be creative in your challenges, and the time will fly by. In The Four Tendencies, Gretchen Rubin explained that some personalities respond better to rewards. If that’s you, you’ll be more motivated to finish (or even start) cleaning. Regardless of your personality, we all love a great reward. When you have a huge task such as spring cleaning to accomplish, it can help to give yourself a specific goal, and reward yourself with something special when that goal has been achieved. Whether you want to go out for dinner or get a pedicure with a friend, you deserve to be pampered after all your hard work. This will give you something to look forward to and motivate you when you are feeling burnt out and ready to quit. Cleaning and decluttering can take as little or as long as you let it. If you are trying to get your organizing done in as little time as possible, use these tricks to give you the extra boost you need. Use some of these tips as motivation, and you will notice how much easier it is to keep on track and get the job done. A squeaky clean, organized home comes to those who persist.